My Judaism grounds me in tradition, teaches me about myself, and motivates me to mobilize for social justice. 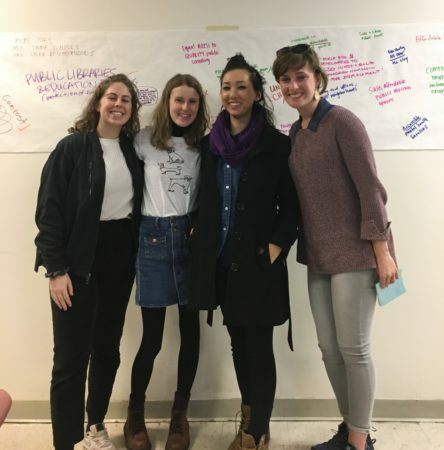 Even during periods when I felt disconnected from organized Jewish life, finding Jewish community in organizers, advocates, and students made me feel at home. Jewish tradition and community are fundamental parts of how I understand my identity. Friends from preschool, Hebrew School, and camp will remain for life; Shabbat dinners taught me how to cook and invite loved ones into my home; traditions passed on from older family members makes me feel part of an ancient, storied people. 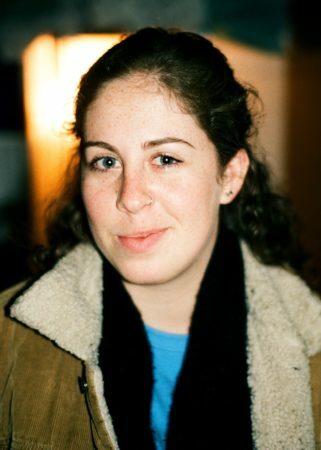 Though my relationship with Judaism and social justice has changed over time, and will continue to expand throughout the course of the JCUA organizing fellowship, organizing and justice work remain the crucial ways that I feel most connected to Jewish organizations and other Jewish young people. 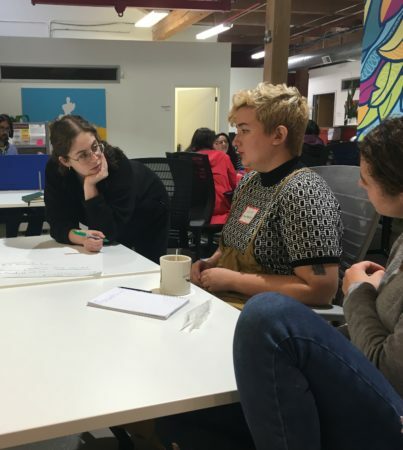 My high school experience in a black-Jewish leadership program called Operation Understanding DC left me curious about the impact of Jewish coalition-building with marginalized communities. The program framed Jewish relationships with people of color and participation in anti-racist work in terms of Jewish history and obligation, pushing us to see how oppressions were intertwined. During this program, I first witnessed Jewish organizations demonstrate and organize for social causes –– whether fighting for housing justice, police accountability, or declaring loudly that black lives matter, Jewish organizations inspired me by their commitment to show up and bear witness. And yet through this program, I also began to see how Jewish organizations, particularly synagogues and Hebrew Schools, had a fraught relationship with our commandment to repair the world. We were members of a larger city community in Washington, DC, but often shyed from the work to dismantle deeply-rooted, systemic injustice around us. OUDC showed me that progressive organizing work was often polarizing, that many Jewish organizations and communities didn’t show up to organize or demonstrate. I left the program more committed to pushing Jewish groups I would join in the future to truly dismantle inequality. Interrogating Judaism’s relationship with social justice also prompts me to take a hard look at my own life and investment in systemic oppression. Jewish education always taught me to ask complex questions about the world, even when the answers pointed unfavorably at Jewish communities or myself. Studying history through high school and college further motivates me to combat comfortable histories of past Jewish involvement in US social causes, and to push Jewish communities to continue working for change, instead of thinking that we have already checked the box of social engagement. I worry that prominent narratives of past Jewish organizing serve as an excuse to ignore present-day obligations to justice work. The history of Jewish involvement in US civil rights organizing pushes me to continue that tradition and to strive for inclusivity where past movements failed. The history of the JCUA in particular, of its founding around issues of housing and residential inequality, pushes me to think about space and segregation in my own life, my own neighborhood. I believe that my place in the Jewish community is rooted deeply in traditions of dissent, debate, and dialogue –– I hope always to be a voice that prompts us to think about how we can be more inclusive and radical in our imagining of justice. Nourishing that voice, however, can be tough; I cherish the communities I have found with Jewish folks who seek to hold our families and institutions accountable for participating in oppression, particularly through the JCUA organizing fellowship. I am still figuring out my place in Jewish communal organizing, but feel compelled to play a role in the fight against US and global oppression, working to eradicate anti-Semitism and prioritizing the work of dismantling other oppressions that are intertwined with our own in the process. As city neighbors and citizens in Chicago, I know that Jewish organizations such as JCUA can offer much to the fight for social justice. I hope to be a part of pushing our community to be the best ally and most inclusive space it can be, and know that JCUA’s organizing and coalition-building lessons will serve me in the process of starting this work.